We’re a web development studio based in Kathmandu, Nepal. We make websites, social networks & bespoke apps for clients of all shapes and sizes – from global brands to DJs and musicians. Marpa Infotech is a flexible, client-friendly firm that wants to add measurable value to your business. And we respond to differing needs with a financial flexibility that makes us particularly attractive to smaller businesses and start ups. 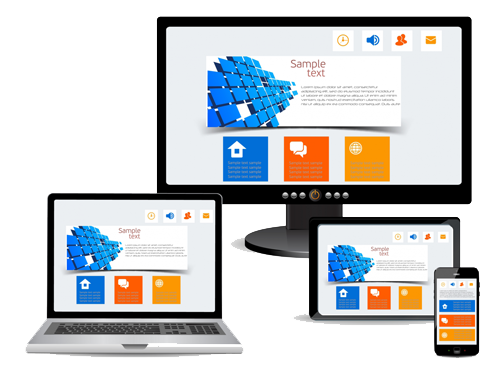 Our core expertise is developing web-based software (web applications) also knwon by various terminologies such as database application, SaaS, web solution, web site, web portal, intranet, CMS, CRM, back-office software, etc. We understand your needs. We've worked with large and small clients who are looking for effective solutions. Our web developers are technical masters that deliver a solid standard based on the customer requirements your business needs. At Marpa Infotech, client satisfaction is our top priority. Our designers work to create a custom designed site that showcases your corporate identity, values, and philosophy. Our website maintenance service does all the hard work for you to make your site safe, secure and updated. We provide topnotch and quality services in Web Hosting and Domain Registration so that you can experience a hassle free internet presence. We provide top class Email Hosting Service catering to al client-size from small size business to large enterprises. Our SEO service is comprised of core components as well as enhancements usually only found in more expensive packages. We provide a wide range of e-Commerce website solutions ranging from e-Commerce web design and to backend development. We develop Content Management System using world class products such as Drupal, Joomla and Wordpress. We make sure your product garners the right attention in the market by creating ingenious designs. A well designed logo conveys a lot about a company and our designers make sure to build a logo that does this. Give life to your graphics. Animate your static images & texts. Try flash, motion graphics and animations! In the first phase we sit down with you discussing and trying to understand your requirement and ideas. In the second phase we prepare some mock up or wireframes as per your idea and present it to you for your approval. In the third phase after the approval of our design we proceed towards agile development to make sure your website is delivered on time. In the fourth phase we do sufficient testing to make sure the website meets the requirements that guided its design and development. In the fifth and final phase we deliver the finished website to you fulfillig all your proposed requirements. FirstNow Software Solutions is a Business and Information Systems Consulting company dedicated to helping our clients solve business problems through the use of technology. help client to achive succesful ServiceNow go-live and save 50% on ServiceNow Implementation. ARKS is a Web Design & Development company based in Bangalore, India. Our company delivers robust and topnotch solutions servicing global clients.